​Each year Infinite Love chooses a different form of childhood cancer to focus our fundraising efforts on, and since no two childhood cancers are the same, financial research grants are given based off of a competitive peer review process. By utilizing Proposal Central and this peer review process, we’re able to award the grants to the highest scoring applications, which means that we are always funding the best of the best for that particular form of childhood cancer. Dr. Adamson’s laboratory focuses on the clinical pharmacology of new drugs for childhood cancer. His primary research focus has been on pediatric cancer drug development, specifically early phase clinical trials and clinical pharmacologic studies. 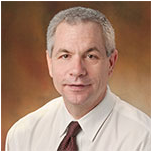 In January of 2011, he became Chair of the Children’s Oncology Group (COG), a National Cancer Institute supported consortium of more than 220 centers across North America, Australia, New Zealand and parts of Europe, which conducts clinical-translational research including large-scale clinical trials in children with cancer. Previously he served as Chair of the COG’s Developmental Therapeutics Program. 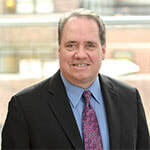 Other key roles that he has served in include Director of the Office for Clinical and Translational Research at The Children’s Hospital of Philadelphia, co-Director of the University of Pennsylvania CHOP Clinical Translational Science Award (CTSA), Program Director of the General Clinical Research Center (GCRC) and Principal Investigator of its NICHD funded Pediatric Pharmacology Research Unit (PPRU). The goal of Scott Armstrong’s research program is to define genetic and epigenetic programs that control the extensive self-renewal properties associated with leukemia and other cancers. This knowledge is then used to develop rational approaches for potential new therapies. Experiments incorporate the use of sophisticated mouse models of leukemia and the characterization of human leukemia cells. Dr. Bhatia is a graduate of the All India Institute of Medical Sciences in New Delhi where she also completed her residency. She completed her fellowship at the University of Minnesota and was a professor at City of Hope before moving to UAB. 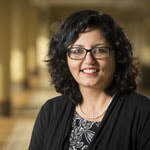 Her research focuses on cancer outcomes with an emphasis on the long-term health and well-being of cancer survivors. Her overarching goal is to reduce the burden of morbidity among cancer survivors. Dr. Burke received his MD from Ross University School of Medicine in Portsmouth, Dominica. He completed his residency at the Medical College of Virginia, Virginia Commonwealth University and his fellowship in Pediatric Hematology-Oncology at Northwestern University Feinberg School of Medicine. His research interests revolve around relapsed childhood leukemia. Dr. Cheung is a pediatric oncologist who specializes in immunologic approaches for the diagnosis and treatment of pediatric cancers. His focus is the treatment of neuroblastoma, a tumor that arises from primitive cells of the sympathetic nervous system and that primarily affects young children. 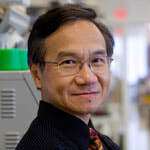 Dr. Dai Chung is the professor and chair of the department of Pediatric Surgery and a professor of cancer biology at Monroe Carell Jr. Children’s Hospital at Vanderbilt. He is the recipient of the Janie Robinson & John Moore Lee Endowed Chair of Pediatric Surgery at Vanderbilt University Medical Center. 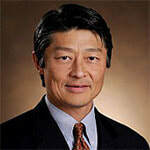 Dr. Chung is co-director of the Center of Excellence in Neuroblastoma Research at Vanderbilt and has memberships in numerous associations including the American Association for Cancer Research, Children’s Oncology Group, and the American Academy of Pediatrics. He graduated from the University of Texas Medical Branch in Galveston. ​Dr. Jeffrey Dome is a pediatric hematologist-oncologist in Washington, DC. He specializes in pediatric solid tumors, with an emphasis on Wilms tumors and other pediatric kidney tumors. 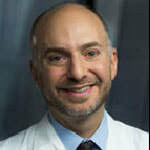 He is also the chair of the Renal Tumor Committee for the Children’s Oncology Group (COG). 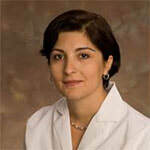 Dr. Esiashvili’s clinical interests include brain tumors and sarcomas. She is a member of the American Society of Therapeutic Radiation Oncology, the American Society of Clinical Oncology, the American College of Radiology, the Children’s Oncology Group and the Pediatric Radiation Oncology Society, among others. She serves as a manuscript reviewer for International Journal of Radiation Oncology Biology Physics, and has published several journal articles and book chapters. She has received various awards for her work in radiation oncology, as well spoken at a number of national and international conferences. 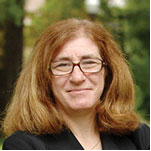 Dr. Friedman’s research emphasis is long term outcomes for cancer survivors. Novel therapeutic protocols for childhood cancer, designed to decrease adverse long-term effects of therapy. Dr. Gajjar’s current clinical research interests focus on innovative protocols for the treatment of childhood brain tumors, with a focus on medulloblastomas, PNET and Rhabdoid tumors (ATRT). He is co-chair of the Department of Oncology, Interim Chair for the Department of Pediatric Medicine and Co-Leader for the Neurobiology and Brain Tumor Program, as well as the Scott and Tracie Hamilton Endowed Chair in Brain Tumor Research. ​Dr. Goldsmith received her MD from the University of Alabama School of Medicine, followed by training at Children’s Hospital of Philadelphia. 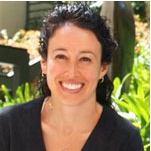 She is currently an assistant professor of pediatrics and the director of the MIBG therapy program. Her laboratory focuses on neuroblastoma and experimental therapeutics that restore therapy sensitivity. Her work has led to a first in pediatric phase 1 clinical trial. Dr. Hashizume received his MD, PhD and residency training from St. Marianna University School of Medicine followed by his postdoc training at MD Anderson. His current research focuses on the treatment of DIPG. Both his clinical and research areas of interest are treatment of primary adult and pediatric brain tumors, and translation of findings from research into treatment of brain tumor patients. Cigall Kadoch, PhD completed her graduate studies at the Stanford University School of Medicine and Howard Hughes Medical Institute in the Laboratory of Dr. Gerald Crabtree. Here, Dr. Kadoch worked to identify and characterize novel components of a chromatin remodeling complex, among them, SS18, which is translocated in synovial sarcoma (t(X;18)), resulting in the hallmark SS18-SSX oncogenic fusion protein. Through a series of biochemical and mechanistic investigations, Kadoch uncovered a mechanism of oncogenesis driven by SS18-SSX mediated perturbation to mSWI/SNF (BAF) chromatin remodeling complexes. Dr. Khakoo is a board-certified pediatric neurologist and neuro-oncologist who cares for children and young adults with primary brain tumors. In collaboration with her colleagues in the Brain Tumor Center, she is involved in several clinical trials to evaluate novel approaches to treating patients with newly diagnosed and recurrent brain tumors. She has an interest and expertise in treating patients with ependymoma, and she is the primary investigator at Memorial Sloan Kettering for the Collaborative Ependymoma Research Network clinical trial for children with recurrent ependymoma. Dr. Loeb received his MD and PhD from Columbia University in New York City, followed by training in Pediatric Hematology and Oncology at Johns Hopkins University, where he is currently an Associate Professor. His research interests revolve around translational research related to childhood sarcomas. He has a laboratory research effort aimed at understanding the role of a transcription factor called WT1 in the biology of sarcomas, another project aimed at identifying and targeting sarcoma stem cells, and is involved in numerous clinical trials, both investigator-initiated trials at Johns Hopkins as well as trials run through cooperative groups. 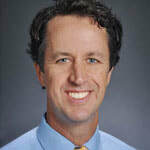 Dr. Maris received his MD from The University of Pennsylvania School of Medicine and completed his residency at CHOP. He completed a fellowship in hematology/oncology at CHOP and has board certifications for the American Board of Pediatrics and the American Board of Pediatrics/Pediatric Hematology-Oncology. He has special interest in the molecular genetics and treatment of neuroblastoma. ​Dr. Modak is a pediatric oncologist who specializes in the treatment of children and young adults with neuroblastoma and other solid tumors, such as desmoplastic small round cell tumors. His multidisciplinary team of healthcare professionals discusses each patient’s case in order to put together an individualized treatment plan. Memorial Sloan-Kettering treats a large number of patients with neuroblastoma, and this volume has afforded him and his team a wealth of knowledge and depth of expertise that benefits all patients. ​Dr. Mueller received her M.D. and PH.D. from the University of Hamburg followed by her training at Harvard Medical School and the University of California, San Francisco. Her research focus is on testing new therapeutic approaches for children with brain tumors and long-term follow up can assessing the vascular side effects in pediatric brain tumor survivors. She is also the Director of the Pediatric Brain Tumor Center where she oversees the overall program including clinical services and research. ​Dr. Sanchez-Martin is a translational scientist committed to bringing new therapies to the clinic of pediatric oncology patients. She now serves as a Cancer Expert for IBM-Watson Health. Previously, she focused on the discovery and pre-clinical development of new targeted therapies and combinations for the treatment of pediatric lymphoid leukemias and generating a repository of patient-derived mouse models to implement precision medicine approaches in pediatric cancers. ​Dr. Sredni is currently involved in the study of childhood tumors of the kidney and of the central nervous system with special interest in the epigenetic mechanisms of regulation of the aggressive behavior of malignant rhabdoid tumors. Her purpose is to better understand the biology of these rare tumors and to uncover novel targets for future therapy development. ​Dr. Tasian is a pediatric oncologist and physician-scientist interested in development of molecularly-targeted therapeutics for children with high-risk leukemias. Her laboratory research program focuses upon testing of signal transduction inhibitors and chimeric antigen receptor-modified T cell therapies in genetic subsets of ALL and AML. Dr. Tasian has leadership roles in the Children’s Oncology Group ALL and Myeloid Diseases committees and is involved in several early phase clinical trials testing new agents in children with leukemia. Dr. Velasquez received her MD from the Universidad Francisco Marroquin in Guatemala followed by her training at Baylor College of Medicine. She is interested in adoptive immunotherapy of hematological malignancies. Her current work is focused on using genetically modified T cells to target hematological malignancies, their functional characterization in vitro and working with leukemia and lymphoma xenograft models. ​Dr. Whitlock is the Division Head of Hematology/Oncology and the Women’s Auxiliary Millennium Chair in Hematology/Oncology at The Hospital for Sick Children and Professor of Pediatrics at the University of Toronto. He is presently a member of the COG Acute Lymphocytic Leukemia Executive Committee and Vice-Chair for New Agents and Relapse and served that organization as Chair and Vice-Chair of national clinical trials and strategic committees.. He has also served on a number of committees for other national and international organizations including the American Society of Clinical Oncology, the American Society of Pediatric Hematology/Oncology, the Histiocytosis Association of America and the Histiocyte Society. ​Dr. Zaky received his MD from Cairo University in Egypt followed by his residency at SUNY Upstate Medical University and his fellowships at NYU Medical Center and Children’s Hospital Los Angeles. His main career goal is to improve the lives affected by brain tumors, especially those with recurrent or progressive disease. Currently, he is the PI of a novel study of targeted therapy in relapsed brain tumors including high grade gliomas using drugs that target most common deregulated pathways in these tumors He is also Co-PI in series of locoregional therapy trials and was on the planning committee for the first pediatric neurooncology symposium at the MD Anderson Cancer Center.